Have you ever wanted to experience the wonders of Ancient Rome but without all the blood, violence and the inconvenience of having to live before electricity? Well, Ave Caesar won’t really give you that experience, but it will depict the Roman Emperor of the same name in a fun, goofy, cartoonish way while you win a few bucks on slots based after him. 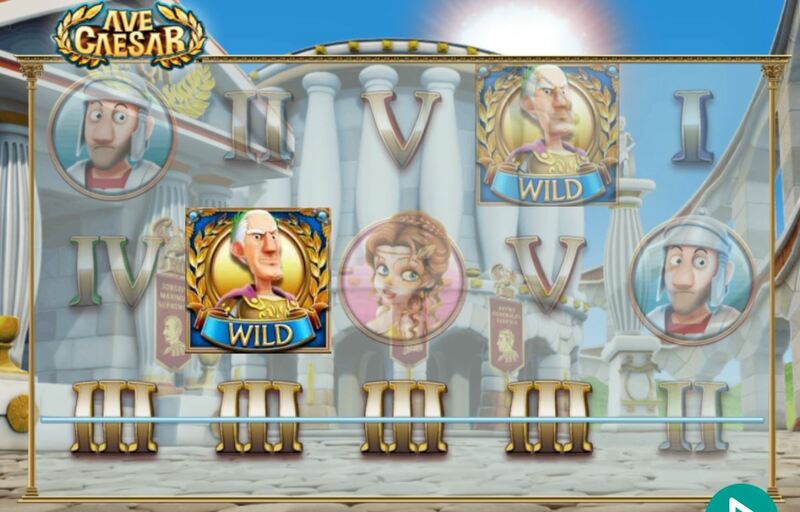 Ave Caesar gives you a standard EasySlots.com game – full of wilds and bonuses – but it also gives you a whopping three additional bonus feature/games to take up your time and pad (or deplete) your wallet. Where Ave Caesar lacks in flashiness, it definitely makes up with substance, substance, substance. 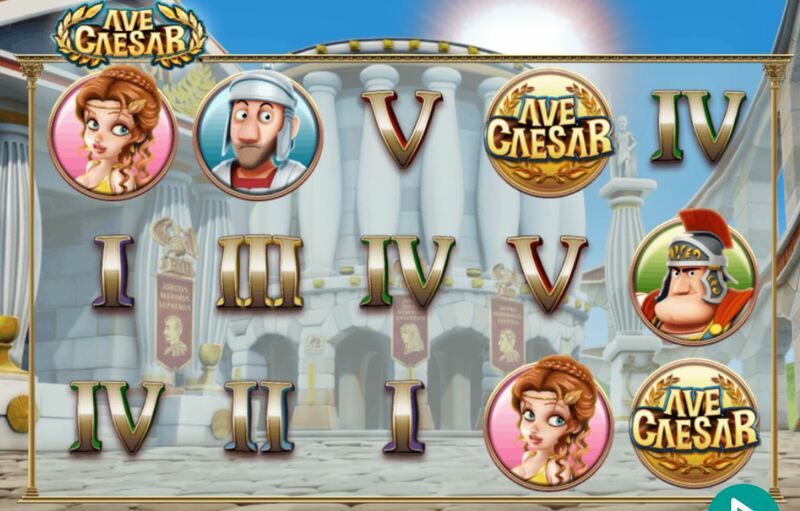 Leander Games, the developer of Ave Caesar, has a vast array of slot-based games in their repertoire. Offering titles like Three Blind Mice, Wild Jane, Codex and Mr. Billionaire, Leander takes what it does best – the slot-based game – and puts its own aesthetic spin on each. A standard 3x5 slot game, Ave Caesar is built on the wild symbol, which is very unsurprisingly the guy it’s named after Caesar himself. Hitting a Caesar (or five of them) can take your winnings and multiply them by 5x, 100x, 400x or 1000x depending on the number of wilds you get. That’s a substantial amount of winnings if you’re lucky enough to hit it big. Caesar’s Conquest is a pick bonus game in which Caesar visits one of the camps looking for love. Choosing from three tents, if you guess right, Caesar enters and the game continues. Choosing wrong (the user might encounter Hannibal) will end the game. In addition to the main game, there are myriad bonus games. The Druid free game determines the number of free spins to award via a boiling druid cauldron. Wilds in the druid game can give you a plethora of free spins in addition to the 10 you’re given. The Glory of Rome free-spin round gives you 10 free spins and operates much like the druid game: it’s about burning through your free spins in hopes of adding bonuses, getting rewards or earning more free spins. Finally, the Roman Empire bonus depicts Caesar’s invasions. Players choose a territory, which Hannibal’s Legionnaires will invade. You keep going until Hannibal’s troops are wiped out, giving the player a chance to earn a number of bonuses.